There are thousands of travel blogs and dozens of online travel magazines on the web. Most cater to backpackers, families travelling with children, specialist adventure travellers or various luxury travel niches. They are very few catering to seniors, especially retirees travelling in Asia. 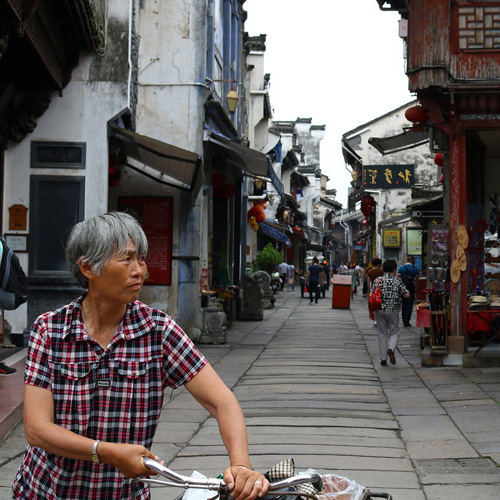 Seniors have special needs when travelling, and most look for destinations and travel experiences where they can take things at a slower pace. Most are retired, so are not constrained by dates by which they have to return to work. Some spend months on the road, seeing places that they never had time to visit during their working years. In 2018, veteran journalist, photographer and traveller, David Astley, decided there was a need for an online magazine catering to this category of traveller. David is well into his senior years having theoretically retired in 2010, but continues to be involved in media activities through his travel writing and digital publishing projects. David Astley at Coron in the Philippines. He’s been travelling for more than 50 years and has visited 96 countries to date. He’s stayed in all types of accommodation from cheap backpacker hostels to luxury 5 star hotels. He’s flown the best and the worst airlines in the world. He’s seen plenty of travel scams too in those 50 years! 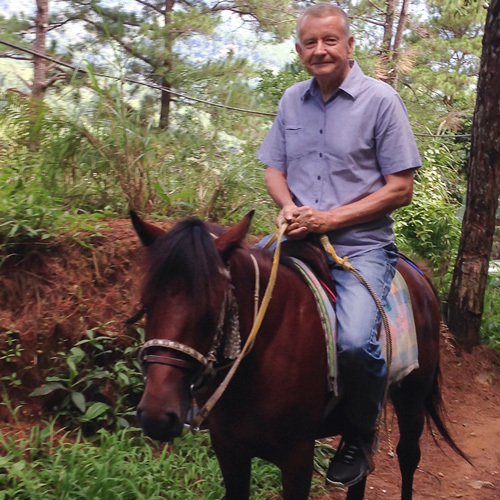 David currently lives in the Philippines and still travels extensively throughout the Asia-Pacific region. In 2002 he created a travel blog – xyzAsia.com – to document his travels when he was based in Malaysia as Secretary-General of the Asia-Pacific Broadcasting Union. He also used the blog to record his experience with a detached retina the following year. Following his retirement he continued updating the blog whilst travelling through South and Central America, but then the blog was dormant for a few years whilst David was working on media consulting projects in Bangladesh, Philippines, Thailand and Vietnam. The xyzAsia website was reformatted into an online travel magazine in July 2018. David’s blog is still here, but it’s only being updated occasionally, because most of his travel within Asia these days is for the purpose of writing new articles for the magazine. Shortly after David started work on reformatting the site, he invited Alan Williams – a former Director of News at the ABU – to join him on the project as a Senior Correspondent. Alan is also widely travelled in Asia having first visited in 1973, backpacking through India and Nepal on the hippie trail to Kathmandu. Alan Williams at World's End in Sri Lanka. The adventure shaped him. He headed back to Asia three years later, this time to live, working for the next 13 years as a journalist in Hong Kong and Brunei. After returning to his native Australia for a seven-year stint with the national broadcaster, the ABC, he moved in 1997 to Kuala Lumpur, where he still lives. Now retired, Alan still travels in Asia regularly and enjoys taking in the sights more than ever. He confesses his travel priorities have changed over the years. Once a follower of the backpacker’s creed - everything on a shoestring - he now looks forward to a comfortable hotel room, good meals, a glass of wine and lots of rest. Apart from the places he has lived, his favourite destinations in Asia include Bhutan, India, Japan, Nepal, Sri Lanka and Vietnam. Prior to the launch of the magazine, Nannette Holliday joined the writing team as its second Senior Correspondent. Nannette was obviously born to travel – Holliday is her real name, not a promotional tool. A former TV and radio presenter, her globetrotting has provided a rich library of experiences to draw upon creatively. Many are woven throughout her first novel: The Sting of Fate - Antoinette's love story. She is currently working on a sequel. Nannette Holliday at the Emirates Palace in Abu Dhabi. When she’s not working on her book or writing for xyzAsia magazine, she is copywriting and writing for a variety of other magazines in Australia and the USA, and ghostwriting books for other people. Although a well-worn adventurer now, before taking up her in-retirement photographic and literary career, Nannette worked in PR, marketing and communications, and managed her own award-winning advertising and media placement agency for 20 years. She prefers a more luxurious style of travel and enjoys fine dining and fine wines. Her favourite destinations in Asia are Bali, Hong Kong, Singapore, Penang, Dubai and Turkey.